1.00 Ct Blue & White Diamond Three Stone Ring in 18K White Gold . 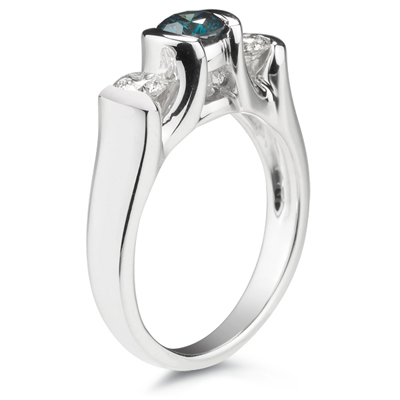 This chic Blue Diamond Three Stone Ring has a fascinating blue diamond and two beautiful white diamonds bezel set in 18K White Gold. Approximate Diamond Weight: 0.96 Carats. 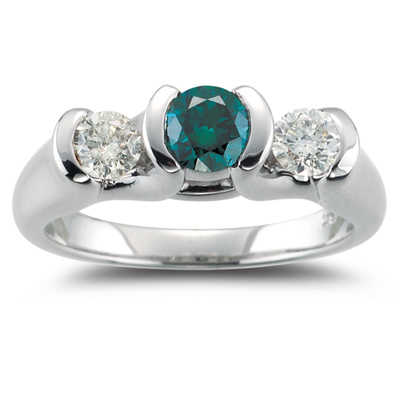 An extraordinary ring that radiates opulence.